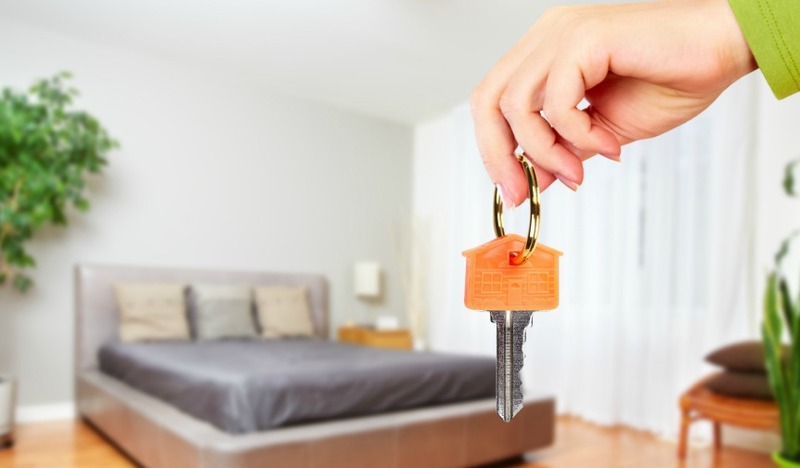 According to new research, one in five rental tenants expect never to see their deposit again after handing it over. Why is this? Shockingly, this research carried out on behalf of law firm Slater and Gordon, also found that four in ten tenants said they hadn’t received any of their deposit back when they vacated a property. And although the traditional deposit has – until now – been four week’s rent, landlords are increasingly asking for a figure closer to six weeks. Hearing that so many renters aren’t getting their cash back has come as a surprise to me – maybe they’re just not fighting hard enough? I’ve rented six different places since I left the parental home five years ago, and despite always looking after and taking pride in where I live I’ve had to fight several unfair deductions. Twice I’ve had letting agents try to deduct cash from my deposit to replace furniture which we’d already been complaining about throughout the tenancy as being worn out and in dire need of replacement. I’ve even had to sit in a letting agent’s office for almost two and a half painstaking hours comparing the photos and inventory from when I checked in to those when I checked out. Eventually they agreed that I’d left the property in better condition than I found it. They still docked £50 off my deposit as the windowsills and skirting boards needed ‘professional’ cleaning… I’m still a little bitter about that. But why are tenants having so much trouble getting their deposits back at all? Since 2007 any deposit given should be paid into a government-backed tenancy deposit scheme, which can act as a mediator if any dispute arises. According to housing charity Shelter, one in five private renters in England don’t know if their deposit is protected. And it’s a confusing picture from the other side of the fence too. The Slater and Gordon survey of more than 1,000 tenants and 500 landlords also found that some 79% of landlords wished they’d asked for bigger deposits from their tenants for the damage to their property. But are tenants really that reckless? Or do some landlords unfairly keep tenants’ deposits to keep tired rental properties at an acceptable living standard? In 2011 – when I was making my first foray into the rental market – a Labour policy review found that a full 35% of all privately rented homes (around 1.4 million properties) were rated as ‘non-decent’. That means they were potentially dangerous or seriously sub-standard. And I’ve seen little in the subsequent five years to convince me things have improved to any great extent since. If this is the case, is it that too many bad landlords are undermining responsible landlords and preying on vulnerable tenants? i have been a landlord for four years – not through choice definately not to deliberately make money. I maintained the home in my opinion was to a high standard, painting and replacing things etc. But what I found was tenants don’t live to the same standards as I would, or look after things if it was theirs. I can’t actually be bothered to dispute replacements and cause further damage to my property I have been forced to replace things at my cost rather than investigate and see if it’s neglect by tenants. Part of the problem in my situation has been that I’m not nearby to manage the property and instead has been left to be managed by agents who are absolutely hopeless! I’m glad to say this month I move back to my property and give up my job as landlord! I’ve had problems with a landlord who was struggling to pay their mortgage so rented out. We moved in to the house and it absolutely reeked of wet dog. We were offered £50 off rent to clean the house ourselves after complaining. When it came to leave, the letting agents tried to tell us that we had to forfeit our deposit because of damp in the house that we had been complaining about since moving in. I would agree that letting agents are absolutely useless but I think landlords often use the deposit as a means of extra income! There are good & bad landlords. I am a landlord of a 3 bed semi & fortunately have a very good letting agent who I think vetted me as thoroughly as my tenants! I have a young friend with severe mental health problems living in a bedsit whose landlord should, IMO, be banned from having rental property. The room is damp & has mould on the walls, there is a problem with the plumbing of the kitchen sink – it will not drain & all washing up water has to be taken to the toilet for disposal. According to the landlord the floor boards need to be taken up in 2 rooms and the landing to investigate the matter & he is basically not prepared to do this. This situation has been going on for 3 yrs. The electricity is on a prepayment meter but who the supplier is I do not know & is very very expensive. My elec for a 3 bed CH semi is less per month than for this 1 room! My friend is terrified of being evicted if he complains & cannot afford the deposit & letting fee to look for another place as he is quite convinced, & I agree with him, that he is unlikely to get the £300 deposit back, less the £30 cleaning charge, that he paid. I have assured him, many times, that he can stay with me while we find him another place to live but he says this is not possible because he is convinced that he will loose his housing benefit & I will probably loose my single persons 25% discount on my council tax. To make matters worse he has just been told that his DLA of £300pm has been withdrawn & he will now only receive £80pm PIP. This is causing him great distress on top of his already considerable health problems. He will sadly, even with my help, no doubt relapse AGAIN & spend another 8/12 weeks in hospital at considerable cost to the NHS. It is time that the Govt. & Councils took better care of people with mental health problems as they are not able to help themselves & are certainly not able to fight landlords who withhold rental deposits. IMO Which? should investigate & put in a super complaint.